Click one of these buttons to download the report as a CSV file or an Excel file. 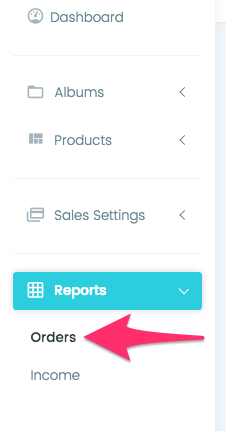 The button color (and the "Is Excluded" column) let you know if this order is included or excluded from your sales stats. Excluding an order keeps it from affecting your income report and dashboard sales stats. If this was an online sale or an in-person sale.